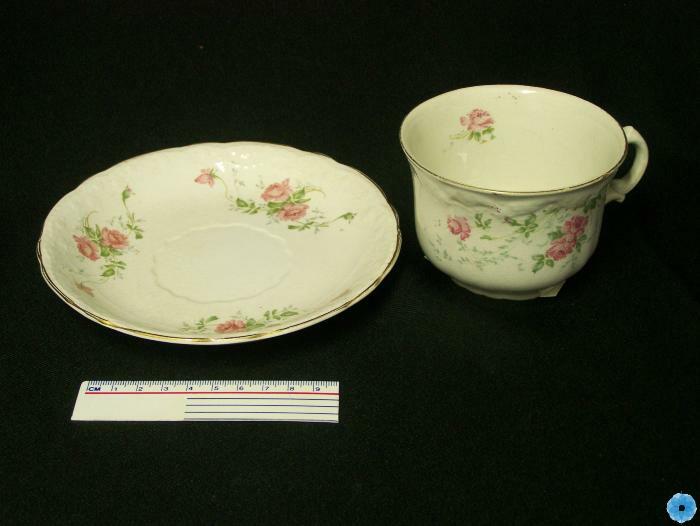 Description: A cup and saucer with a flower pattern. The flowers are pink and have green vines. On the cup there are two such images and three images of these flowers on the plate.